The foyer of this luxury hotel on Bath’s grandest street sets the scene: a glam chandelier made up of thousands of earrings, a giant illuminated Big Ben (yeah, yeah, it’s the Elizabeth Tower, but you know what I mean), an oversized original painting of a bell hop – and super comfy chairs with a chic bar next door. This place, created by Ian and Christa Taylor, combines witty, eclectic decor with luxury living – it’s like no other hotel we’ve ever seen. 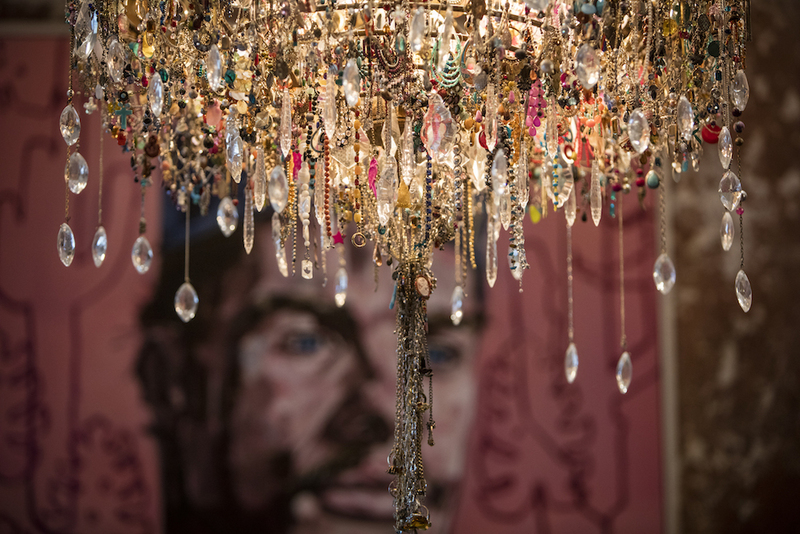 Everywhere you look there are original artworks and quirky collections – displays of children’s kaleidoscopes on the walls, giant vintage perfume bottles up the staircase, glass table tops filled with curios. Get the picture? There are 40 gorgeous boutique bedrooms, each one decorated in No. 15’s trademark eclectic style. 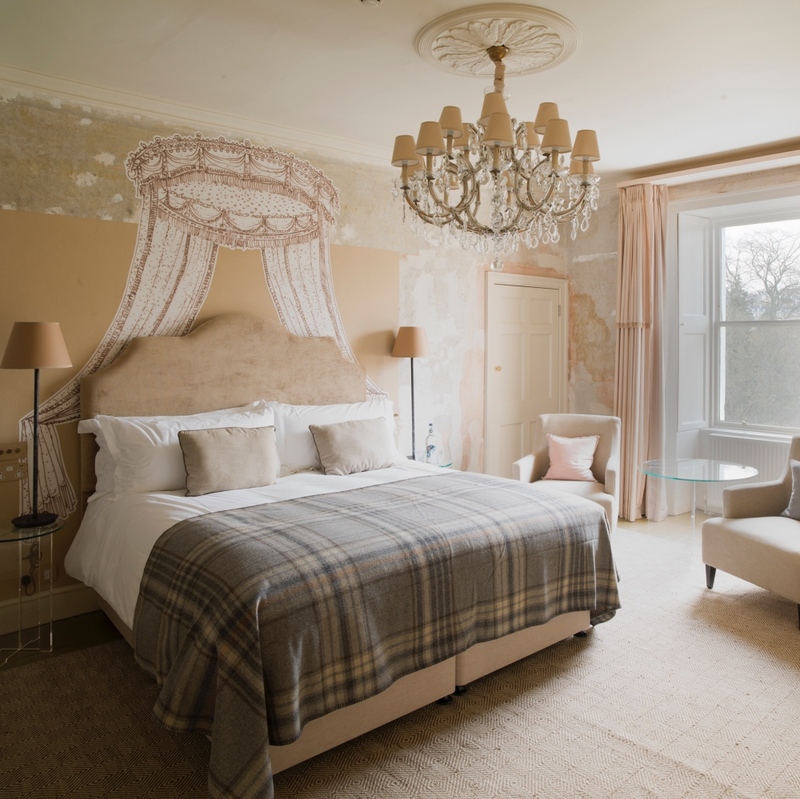 We’ve peeped our heads into grand suites overlooking Great Pulteney Street with huge chandeliers and artworks and cosy loft rooms with rooftop views and bespoke murals. No two rooms are alike. We like the fact that they appreciate that not everyone’s always in a couple; over half the rooms can be made up with twin beds and a quarter have sofa beds for families and friends. Well-behaved dogs can come too. A great touch: they’ve teamed up with Bath’s best bookshop so guests can have a selection of books ready and waiting. In the chic Bar 15: pick a card, any card: the cocktail menu appears on pack of playing cards. 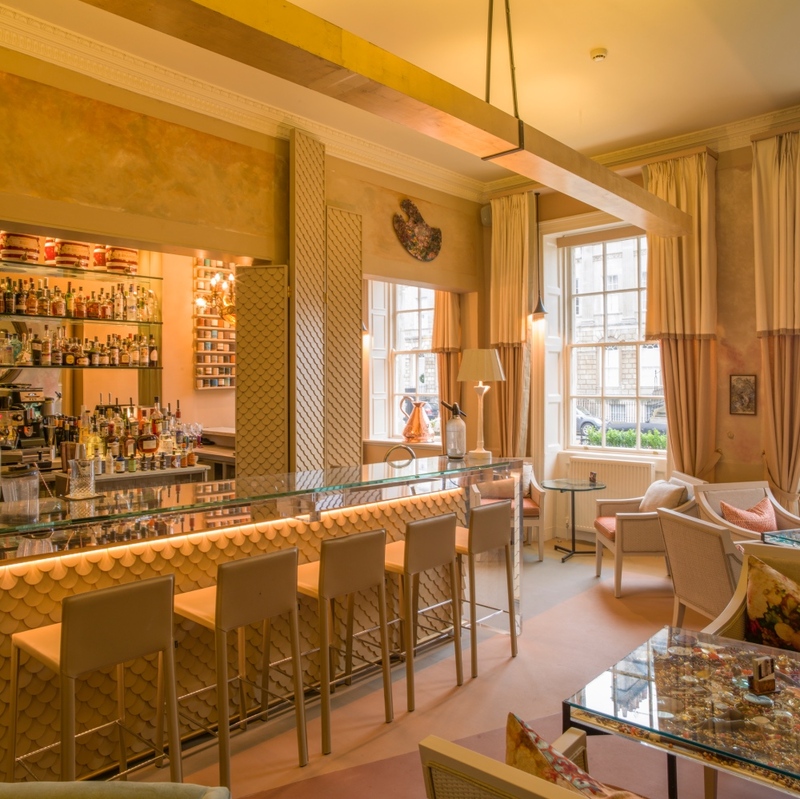 All day dining in the Sitting Room at the end of the bar and in Cafe 15, lined with copper pans and vintage chemist cabinets filled with blue and green glass pharmacy bottles and an eclectic international menu of small plates and sharing dishes. Below stairs – and the pavement – is the luxury Spa. Cedar wood tub, sauna pod, steam room, individually decorated treatment rooms (one has a coral reef on the ceiling, another an installation of hand-knitted socks) and the retreat. Relax with a glass of Prosecco and a copy of Wallpaper. Lots of tempting spa and dine packages. Read our Spa and dinner review. 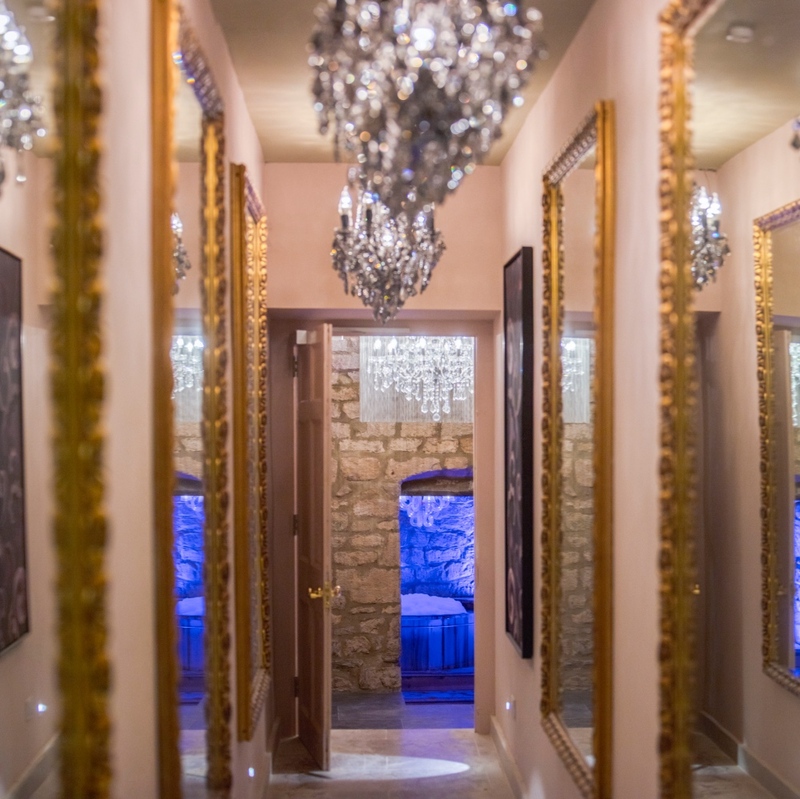 Worth a visit for the ladies’ loo alone – it’s spectacular!